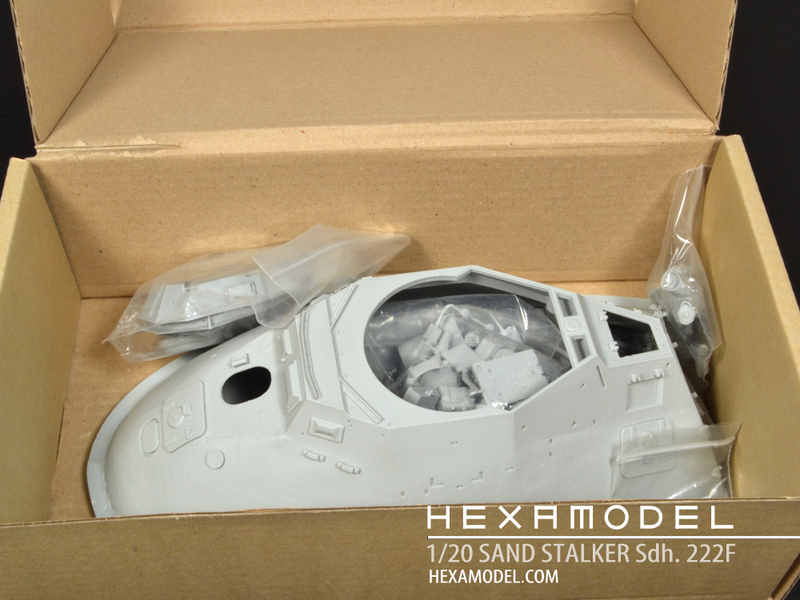 Here are some preview images of Hexamodels's all new 1/20 scale 222F Sand Stalker. This is quite a unique kit. 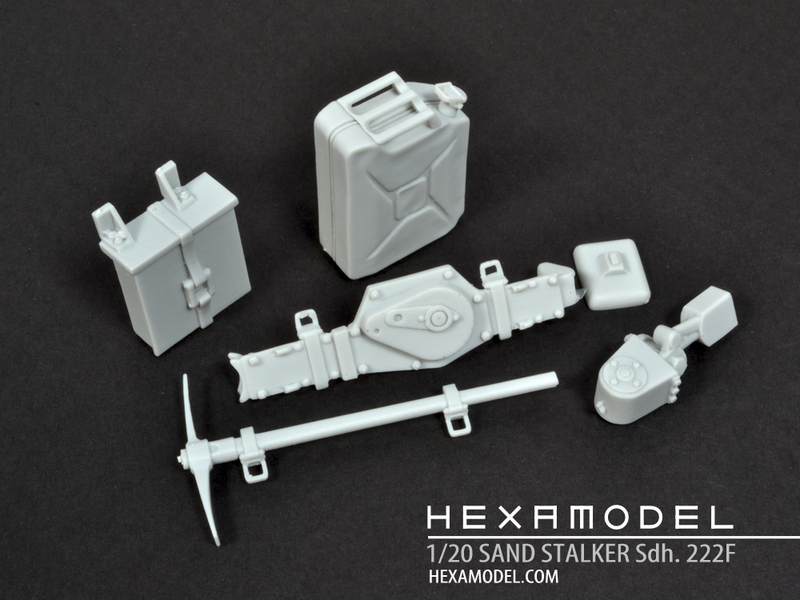 The artist had access to a 3D scan of Kow's original model and used that as a basis to create this highly detailed 1/20 garage kit. 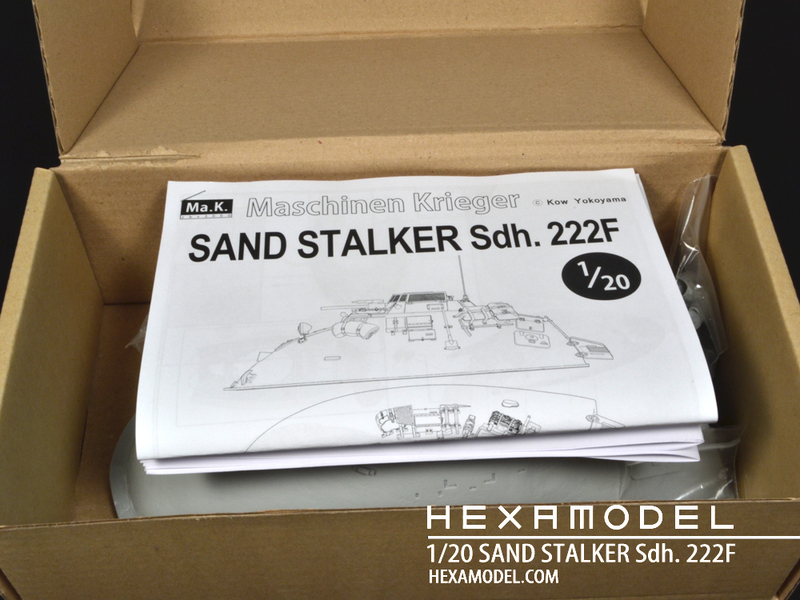 Kow's original used a 1/35 Tamiya 222 German Armored Car as the base. 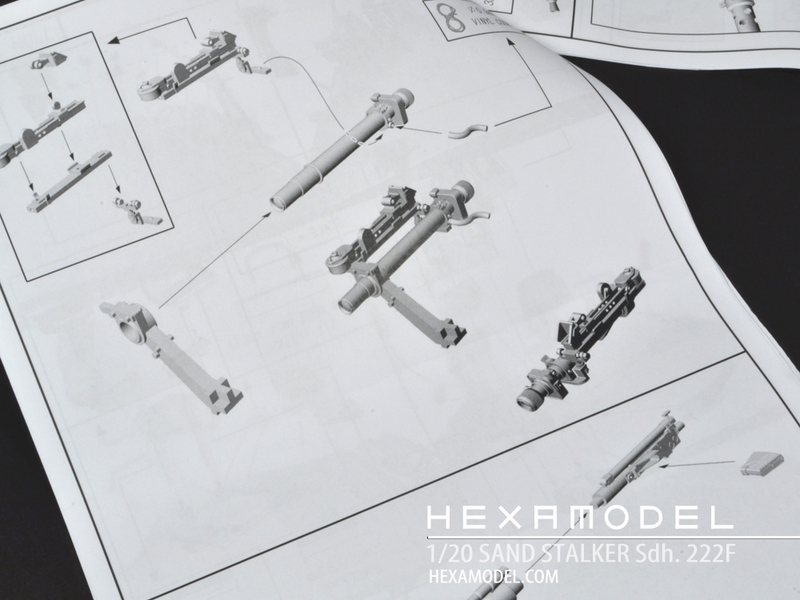 Hexamodel used references from real 222s to add additional details that would be missing if he simply scaled up the old Tamiya kit parts. 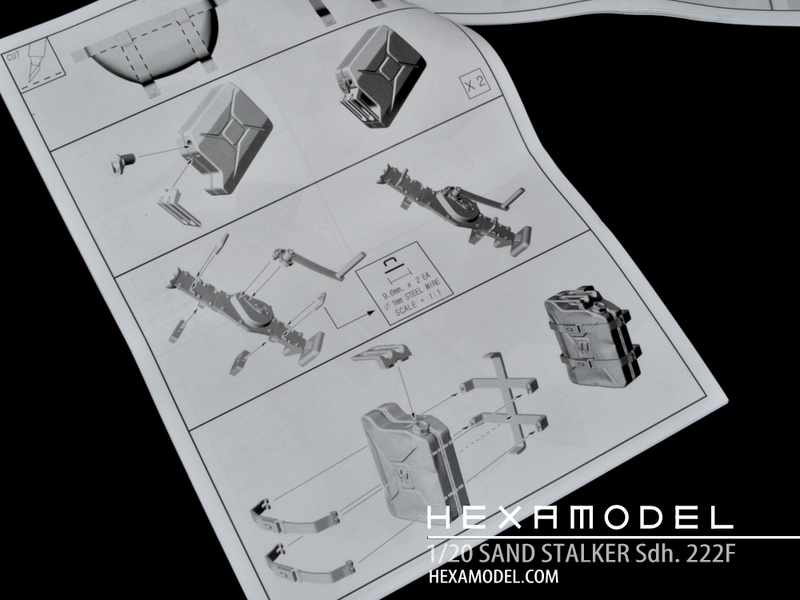 The result is a highly detailed model with numerous sub assemblies that could only come from detailed knowledge of the real mechanics. 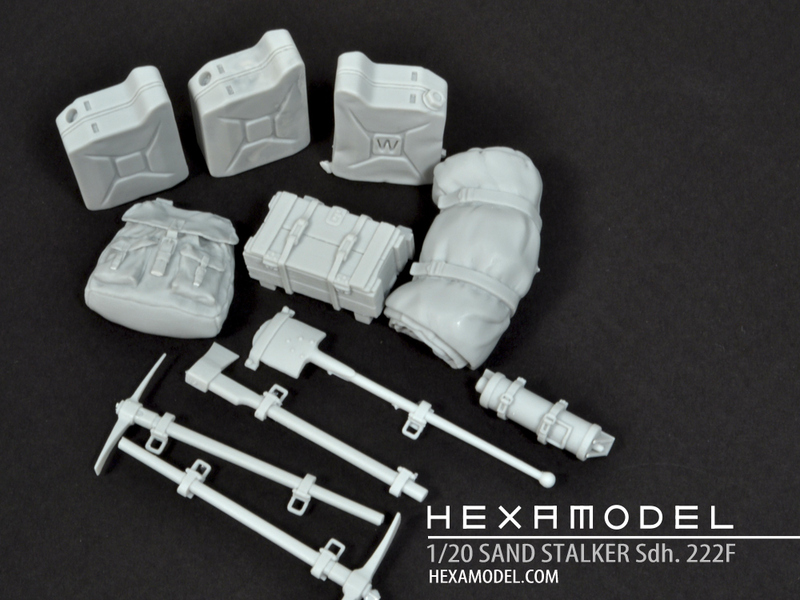 The tools have molded on clamps, the fuel cans have convincing dents, the ammo clip has a visible round and the armored glass frames are plenty detailed. The hull top has castle nuts for goodness sake! Very impressive. 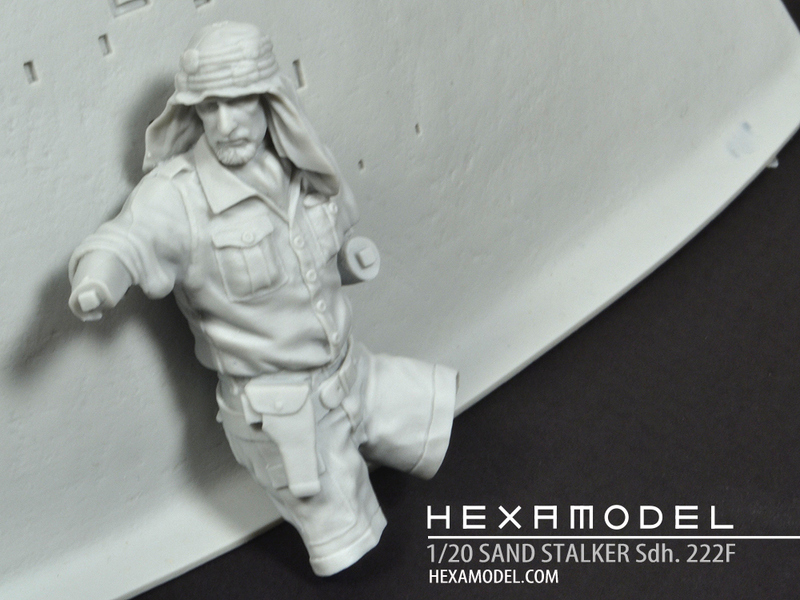 The masters for casting were generated via 3D printing. Even the stowage and figure. 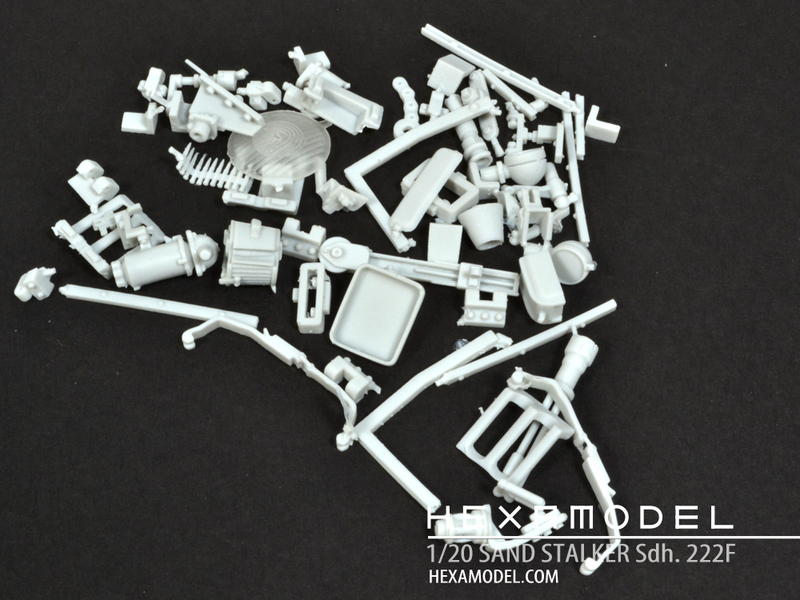 The masters were engineered with assembly in mind; tabs and locating pins are on just about every part so assembly should be straight forward. 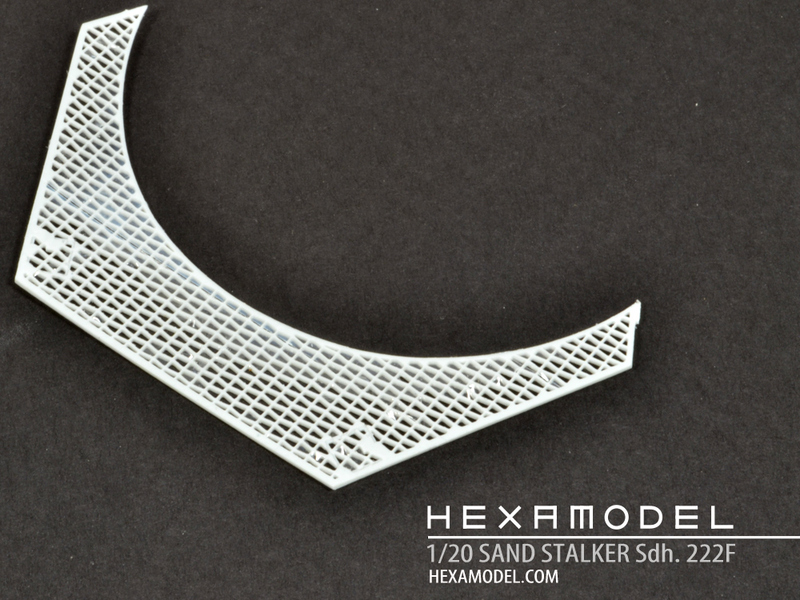 I understand Hexamodel spent a lot of time cleaning up the masters to improve the finish and fit. It shows. I test fitted some of the parts and the features line up nicely. The magazine pops into the main gun and the fuel can handle needed no trimming to fit. 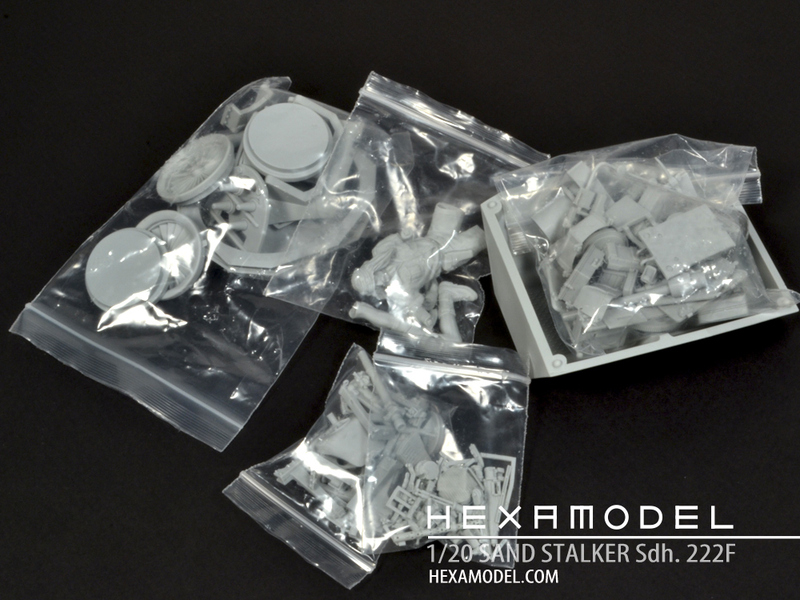 The figure is six pieces with no flash and a tiny seam line that shows up here and there but no place important or difficult to get to. 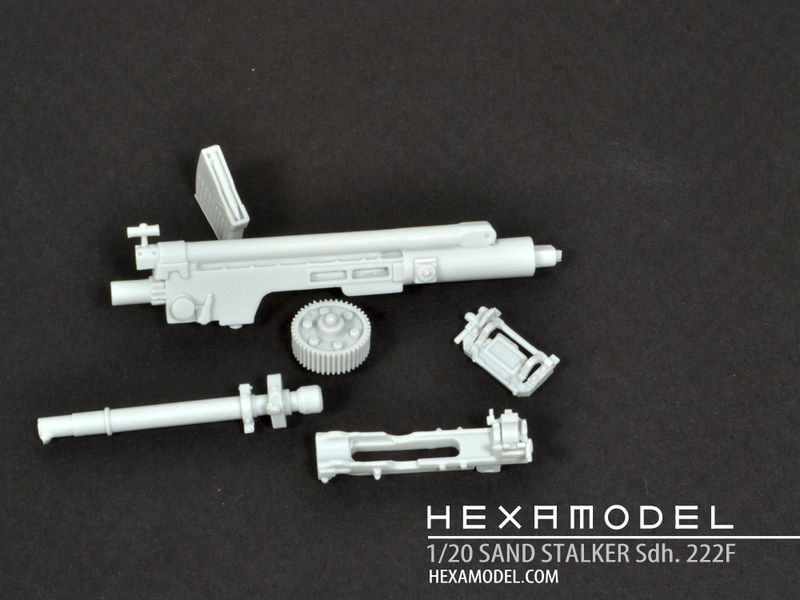 The parts breakout will make this one easy to paint. The features are very nicely rendered and the figure has a nice stern expression and natural pose. He kind of looks my neighbor across the street. 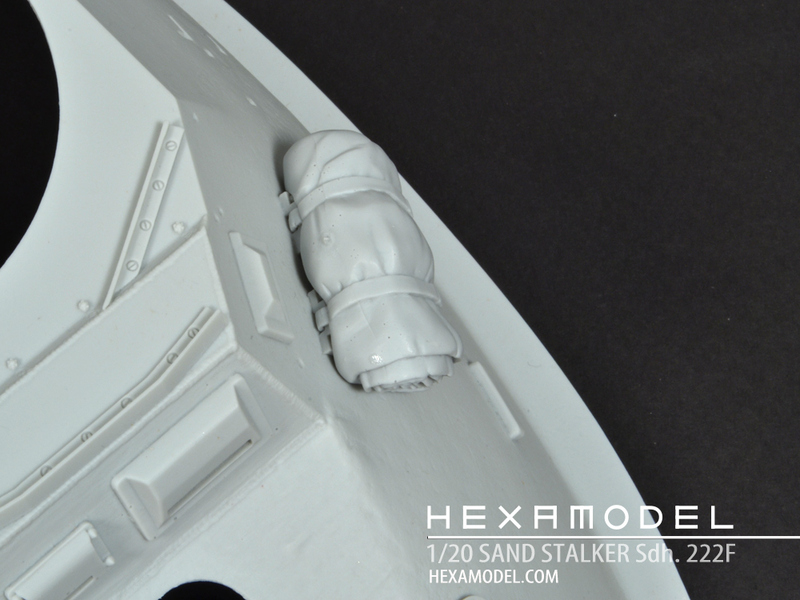 The figure has been specifically design to sit on the edge of the turret so there is no "float" that often shows when figures are seated on models. 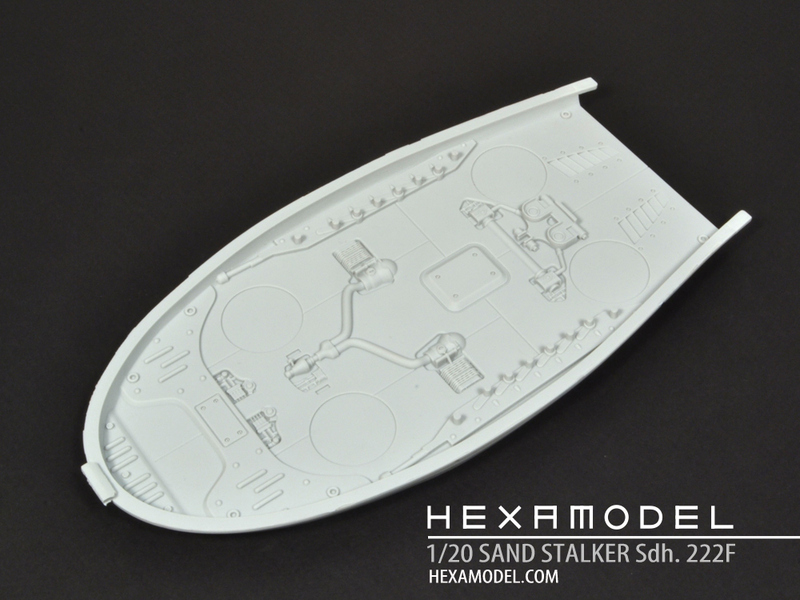 The one piece hull has a nice cast texture and locating features for the miscellaneous stowage. 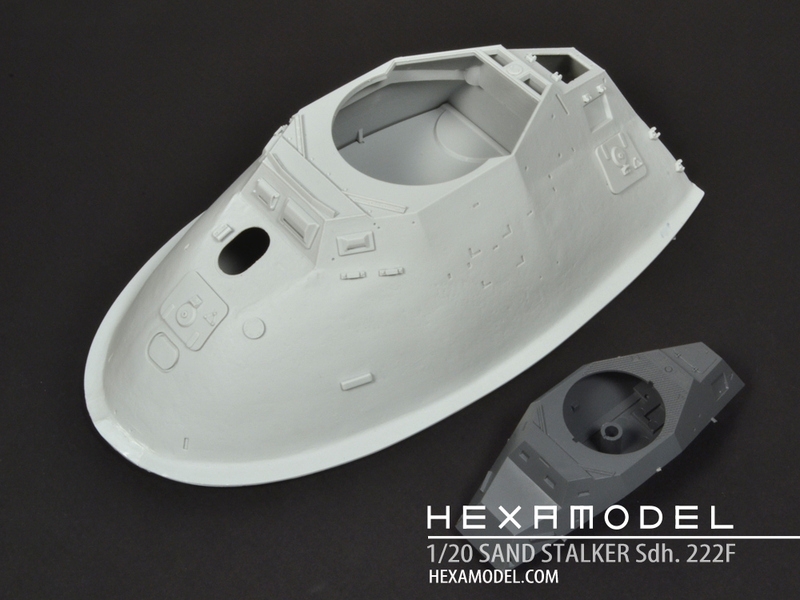 The weld lines on the turret and hull are nicely done and scale appropriate. The various hatches can be made to work by using wire pins. No interior is included except for the main fighting compartment pan but the main gun assembly is almost a mini-kit and occupies most of the space. 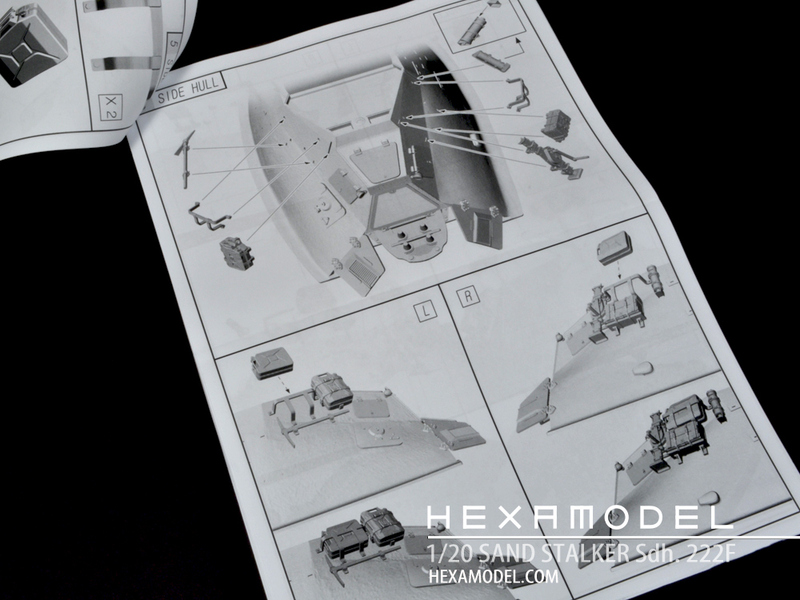 The 19 page instructions and 3 page parts layout guide are as good as any injection molded kit and spend a lot of time on the main gun and turret. 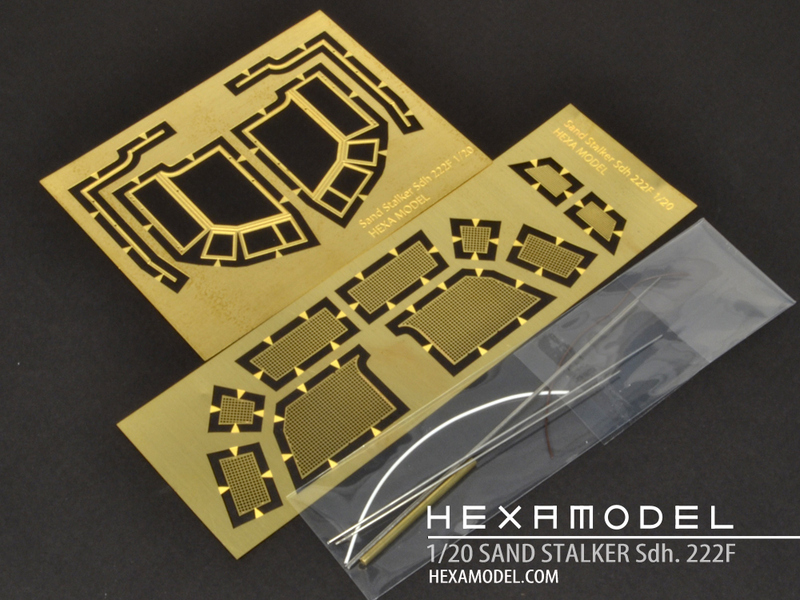 Two sheets of photo etch are included for the turret grenade screen frame and mesh. Brass and steel rod are also provided for the hinges, barrel, etc. The casting is some of the best I've ever seen with only tissue thin flash in the tiniest of holes. 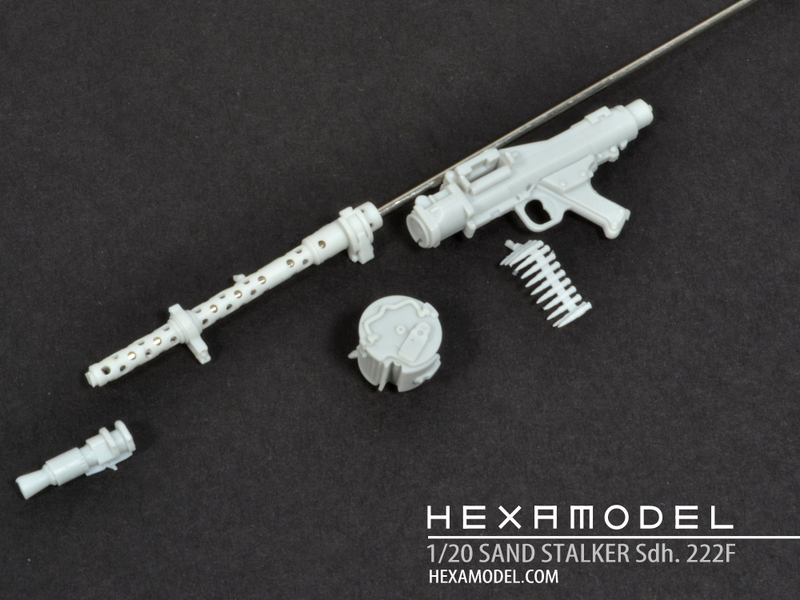 I thought I lost it when I saw the hollow cast cooling sleeve on the MG 34. 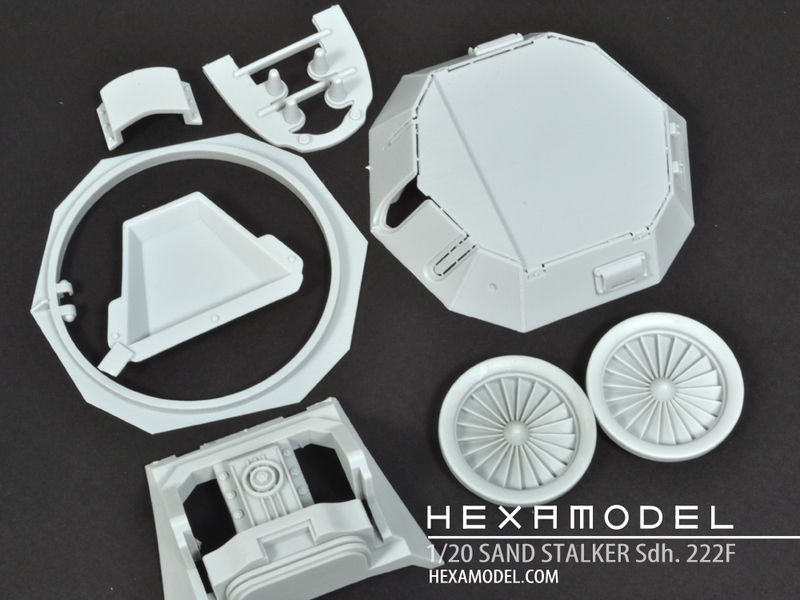 Some of the larger thin parts are cast with intentional flash to act as reinforcement so pieces don't warp until ready to use. These are thin and should be easy to remove. 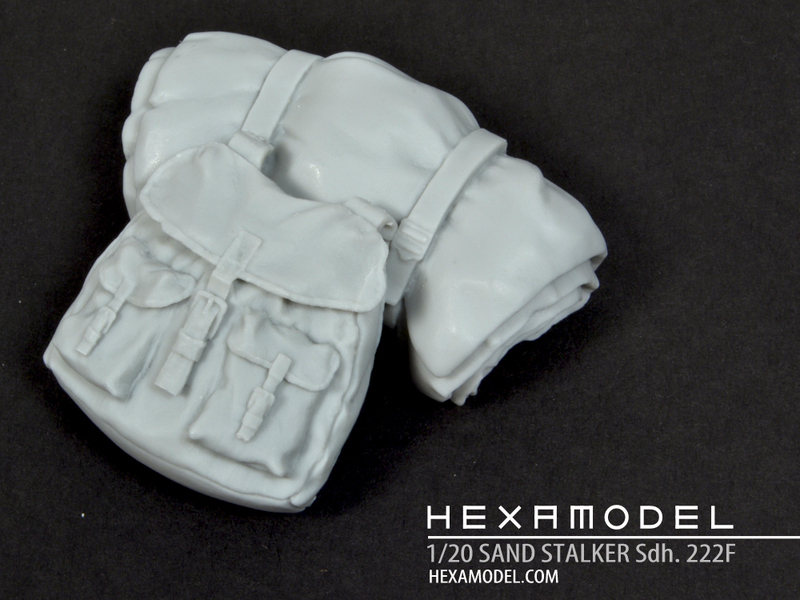 Hexamodel will be releasing this and additional models soon. 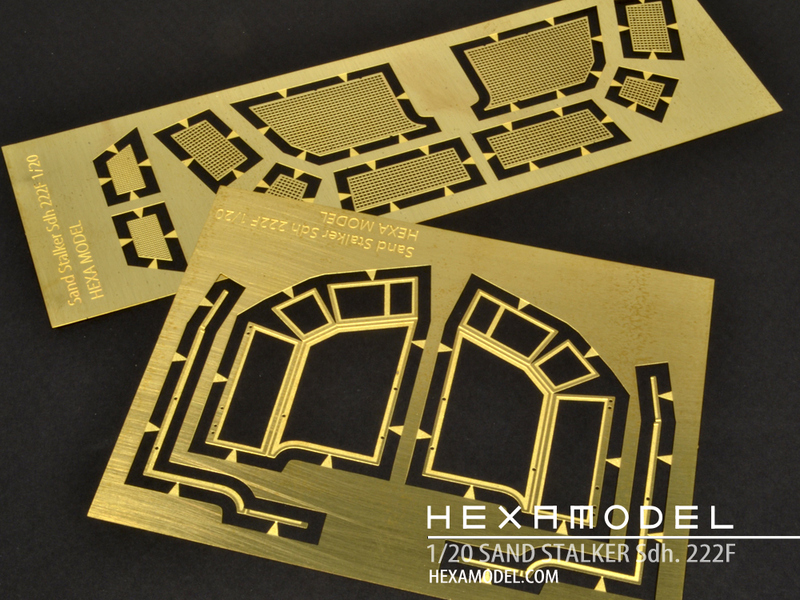 Visit Hexamodel.com for more information. The attention to detail is remarkable and shows a real love for the design. I'm excited to have this and can't wait to get started.